Gross Weight (GVWR) 8500 lbs. 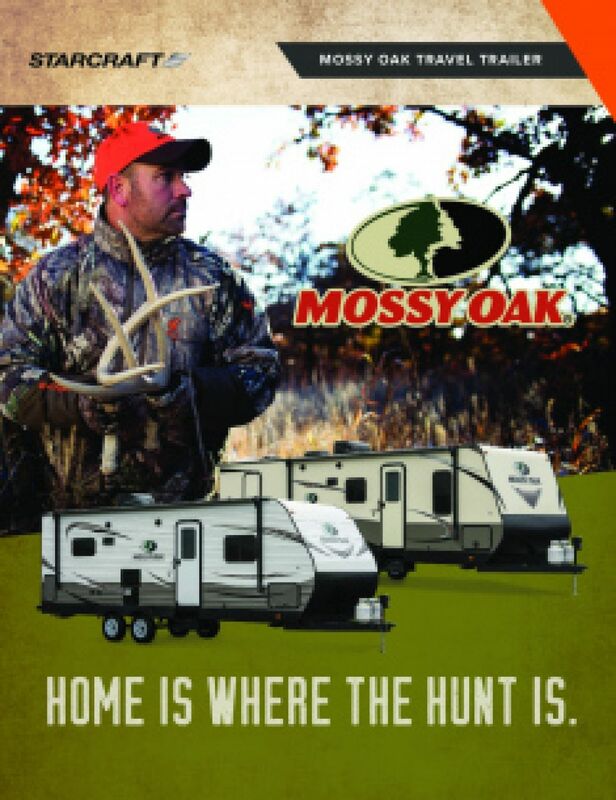 The 2019 Starcraft Mossy Oak 282BH makes every trip amazing, whether it's a weekend camping trip or a cross-country journey! This Travel Trailer is built for the long haul, so you can enjoy decades of RV adventures! You can find this top-notch model at RV World MI, located at 7834 S Division Grand Rapids Michigan 49548! With our excellent customer service and incredibly low prices, we're known throughout Grand Rapids as a top Michigan RV dealership! This RV tows easily with a hitch weight of 595 lbs, GVWR of 8500 lbs, dry weight of 6445 lbs, and 1 flush mount slides for reduced wind resistance! You'll enjoy comfort and protection when relaxing outdoors under the 20' 0" patio awning! Feel at home and sleep well wherever you are with the master bedroom's Queen bed! Up to 10 people can sleep inside this comfy camper! There is a full set of modern cooking appliances in the kitchen, so your family can enjoy delicious, hearty meals at any time on the road! The 6.00 cu. ft. refrigerator can store all of your fresh food, produce, and cold drinks! You can whip up savory, hot dishes on the 3 burner range cooktop! When you fill up the 68 gallon freshwater tank, your family can use plenty of clean water for drinking, cooking, and washing during your vacation! Even after all of your guests, you can still enjoy a hot shower thanks to this RV's 60 lbs. of LP tank capacity! There is also a Foot Flush toilet inside the bathroom, and used water is stored in the 65 gallon gray water tank and the 32 gallon black water tank! 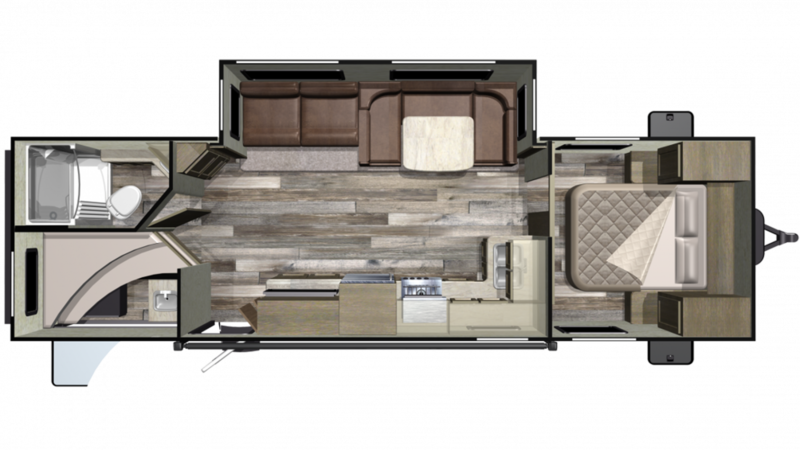 This Travel Trailer is roomy enough for family and friends, especially at night when it's time to turn in and get a good night's sleep. The convenient bunkhouse offers privacy and comfort with its cozy Bunkbeds! For tailgating and picnic fun, break out the outdoor kitchen! You can enjoy that great outdoor flavor, morning, noon, or night!